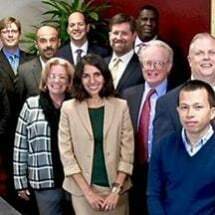 MoreWith over 120 years of cumulative and exclusive Criminal Defense experience, our reputation for aggressive and results oriented performance, whether in State court or Federal Court, has been documented by several Bay Area news channels and vetted by hundreds of satisfied clients. Our success and industry recognition is the result of our EXCLUSIVE FOCUS on criminal defense; we don't accept personal injury or family law cases. This single-minded focus allows us to keep pace with the ever-changing...With over 120 years of cumulative and exclusive Criminal Defense experience, our reputation for aggressive and results oriented performance, whether in State court or Federal Court, has been documented by several Bay Area news channels and vetted by hundreds of satisfied clients. Our success and industry recognition is the result of our EXCLUSIVE FOCUS on criminal defense; we don't accept personal injury or family law cases. This single-minded focus allows us to keep pace with the ever-changing landscape of legal doctrine and provide you with the best results possible.